TNPSC has published the notification for the Block Health Statistician exam 2016 with 172 Vacancies. This Page dedicated for discussing all the latest news regarding TNPSC Block Health Statistician Exam 2016 . The important details are as follows. 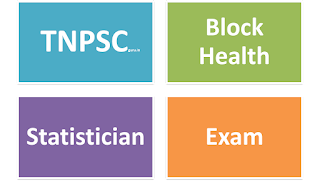 The eligible candidates can apply online for the Block Health Statistician Exam 2016 .
to get Latest Updates of TNPSC Exams. The official notification for the post of Block Health Statistician Exam 2016 was published on Feb 12, 2016. 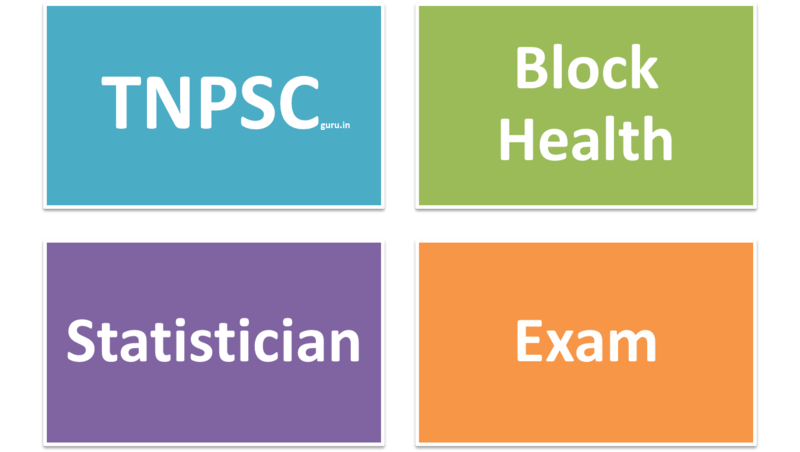 You can download the TNPSC Block Health Statistician Exam 2016 Notification, Syllabus here. Block Health Statistician in the Family Welfare Department (2007-2011) (Post Code. 2010) and 172 Vacancies. Paper 1 (Subject) - 05.06. 2016 FN - FN 10.00 A.M. to 01.00 P.M.
A Second Class degree in Statistics with Mathematics as an ancillary subject. The TNPSC Statistical Inspector 2016 Question Papers with answer key download link will be updated here very soon after the exam. TNPSC Block Health Statistician Exam 2016 result is expected to be published within 2-3 months. The Result link will be updated here after the publication of the result.